Eric Graf holds a Master of Music in Cello Performance and Suzuki Pedagogy, where he studied with renowned Suzuki pedagogue Dr. Melissa Kraut. He also holds a Bachelor of Music in Cello Performance from the University of Minnesota-Twin Cities. 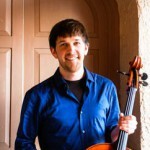 Eric is principal cellist with the Mansfield Symphony, and has performed in numerous regional orchestras in the Midwest. As founding member of the Aceso Quartet, he traveled to Denmark in 2014 for a residency at the Hvide Sande Masterclass. Equally at home in solo music, some of his all-time favorite performances were as soloist with the Miami Summer Music Festival and the Central Lakes Symphony orchestras in 2014. Eric has also attended the National Orchestral Institute, Round Top Festival Institute, and the Bravo! Chamber Music Institute in Minnesota. Having recently completed his long-term Suzuki teacher training, Eric has a deep understanding of the Suzuki method as well as more traditional methods. An avid teacher of all levels, Eric currently teaches in and around the Cleveland, Ohio area at the Beck Center for the Arts, Cleveland School of the Arts, and the Joyful Noise Neighborhood School of Music, a program that provides free lessons to underprivileged youth. Eric grew up playing piano, alto saxophone, and cello. His childhood years playing alto saxophone in jazz band constantly remind him that classical music should be just as free and expressive!